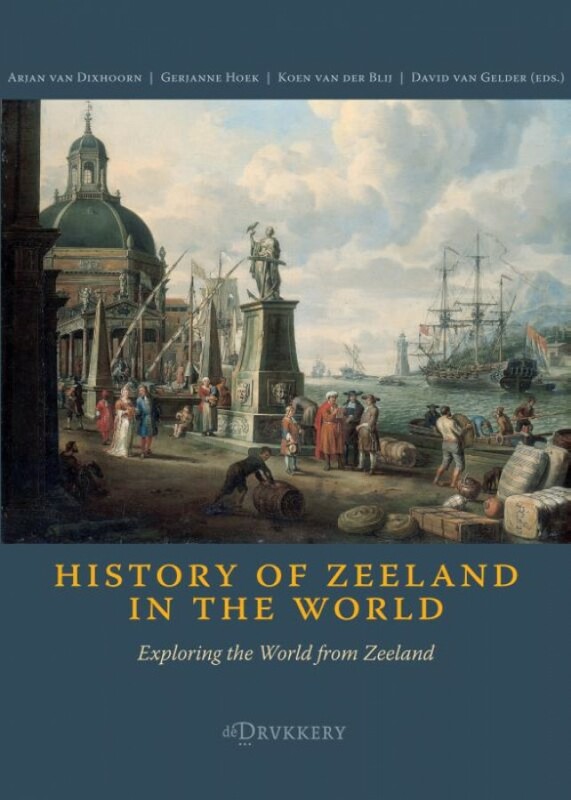 'History of Zeeland in the World: Exploring the World from Zeeland' is a unique book. It is a collection of fourteen papers most of them dealing with Zeeland and its rich history. They are written and edited by students of University College Roosevelt, the international honors college of Utrecht University in Middelburg. The papers study a variety of topics from Zeeland’s history. Several focus on the role of knowledge and information in the eighteenth century (global) trade networks operating from Zeeland. Other papers deal with the role of Middelburg in the eighteenth century wine trade, a defense of the Scottish trade monopoly at Veere published in the same year as Adam Smith’s famous defense of free trade of 1776, or the history of tourism in late 19th century and 20th century Zeeland. The volume ends with three additional papers that are not about Zeeland: two on art history and one paper on the history of terrorism. These papers also show how the world is explored from Zeeland today, continuing age-old traditions of learning in the region in new ways. The collection marks the five year anniversary of the Chair in the History of Zeeland in the World, established at Utrecht University in 2013 by the 'Familiefonds Hurgronje' to study the history of Zeeland at UCR. Arjan van Dixhoorn (main editor), Gerjanne Hoek, Koen van der Blij, David van Gelder (board), Lisa Bosma, Alec Cornelissen, Marijn Thijs, Laura van der Knaap, and Aleksandra Vuli? (copy-editing).